Looking for a clean, well-cared for 2018 Hyundai Santa Fe Sport? This is it. This Hyundai includes: GRAY, SEATING SURFACES PEARL WHITE *Note - For third party subscriptions or services, please contact the dealer for more information. 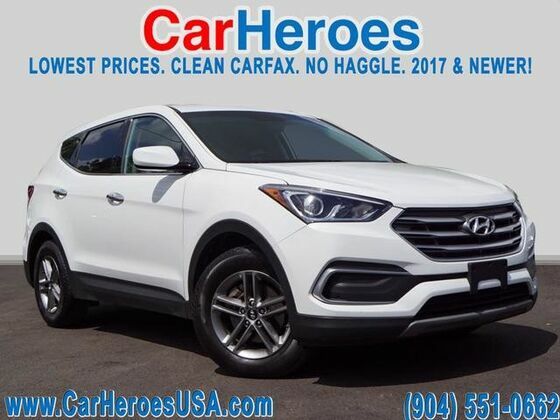 * This 2018 Hyundai Santa Fe Sport comes with a CARFAX Buyback Guarantee, which means you can buy with certainty. With this exceptional SUV, you'll get "sport," "utility," and comfort. There are many vehicles on the market but if you are looking for a vehicle that will perform as good as it looks then this Hyundai Santa Fe Sport 2.4L is the one!